Planning a get together for your family and friends for this Holiday season? Invite your guests in style by creating your own invitations using our free printable template! These invites are super eay to make. The template is customizable which means you can personalize the invite by changing the wording, fonts, color and size of the fonts, etc. You can go wild by downloading some really fun font choices. Insert a meaningful verse or poem. 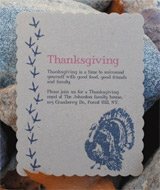 Make your invitations really mean something and warmly invite your guests. 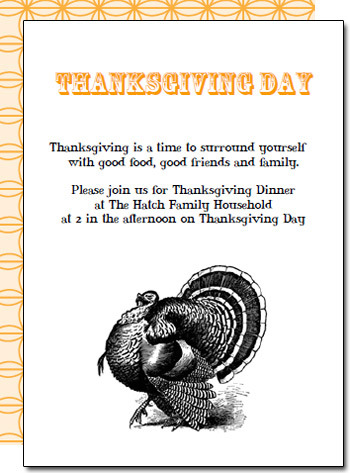 Print the Thanksgiving dinner invitations template onto a heavy cardstock of your choice. 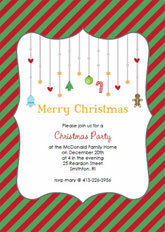 Use the trimming guidelines on the template to cut the invitation to a 5 by 7 format. There is even a option to print a funky design to the backside of the invitations! The back side template can also be used to create nifty envelope liners to compliment the invitations! Download some free decorative and funky fonts by visiting places like Dafont.com and 1001freefonts.com. Choose some funky or colored paper cardstock. Do make sure the paper is not so dark colored that the printing cannot be seen. I really like Kraft paper! Try layering papers and cradstocks for a very rich textured effect. 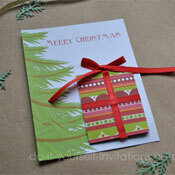 Layer Kraft paper over decorative pattern paper in lieu of a printed backside. I hope you and your gests enjoy these free printable invitations!